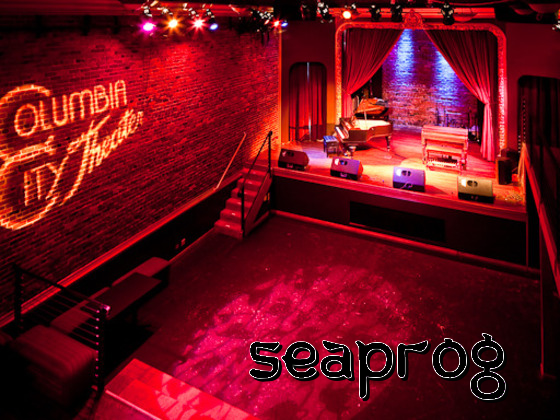 The city of Seattle has long been known as a hotbed for innovative music, from Jimi Hendrix to the grunge movement through progressive metal pioneers Queensryche. For several decades, it has also been the home of globe-trotting guitarist and composer Dennis Rea, originally from upstate New York, but now a full-fledged member of the Pacific Northwest artistic community. While Rea, in his many years of tireless activity in the realms of creative music-making, has gathered an impressive discography (especially in terms of quality), he has never become a household name as he would have amply deserved. Luckily, the release of Moraine’s debut album in 2009, as well as his first solo album proper, View from Chicheng Precipice, and Iron Kim Style’s debut in 2010, have contributed to putting Rea’s name on the sprawling map of the progressive music scene. 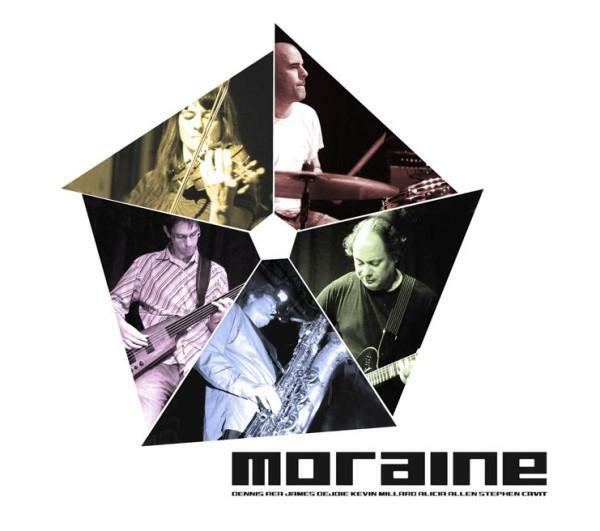 Indeed, Moraine were selected for the 2010 edition of NEARfest, where they elicited quite a lot of interest – in spite of having been described as ‘avant-garde’ on the festival’s press material, a definition which (coupled with their placement in the opening Sunday slot, also known as the ‘rude awakening’, and generally reserved for rather idiosyncratic bands) kept the more conservative members of the audience away from their set. The members of the band, and Rea in particular, were somewhat amused at having been lumped together with much more ‘mainstream’ bands under the all-encompassing prog banner. In these times of derivative acts being peddled as the best thing since sliced bread, Moraine were possibly the most genuinely progressive band on the bill – though, as purveyors of hard-to-pinpoint music, they left some of the more label-happy members of the audience a tad baffled. Although instrumental albums are seemingly a dime a dozen these days, Manifest Density (a brilliant pun on one of the most obnoxious aspects of US history) is not your average cookie-cutter instance of amazing chops unencumbered by soul and emotion. 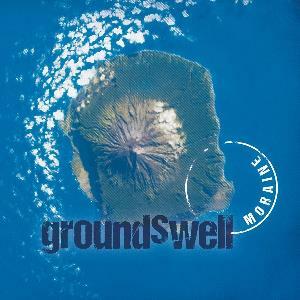 With a total of 11 tracks averaging 5 minutes in length (the longest running at under 7 minutes), and all of the five band members but drummer Jay Jaskot contributing to the compositional process, it is very much an ensemble effort, a collection of contemporary chamber rock pieces that comes with a liberal helping of almost Canterbury-like dry wit – though more geared to 21st-century American society. The essential input of the violin may draw comparisons with bands such as King Crimson circa Larks’ Tongue in Aspic or Mahavishnu Orchestra, while the pervasive presence of the cello may bring to mind Swedish Gothic proggers Anekdoten. 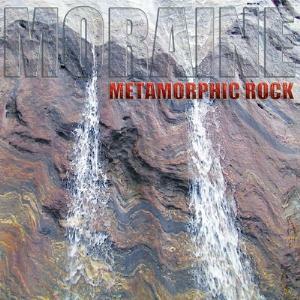 However, in Moraine’s sound the cello’s unmistakable drone does not create the same kind of claustrophobic atmosphere, but rather adds that kind of depth that is generally supplied by the keyboards in the output of more conventional prog bands. 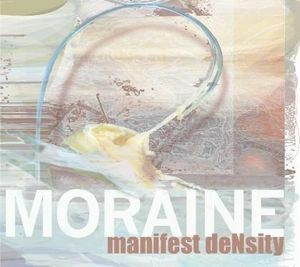 Since the individual members of Moraine have parallel involvements in a number of very diverse projects, ranging from jazz to stoner rock, it will not come as a surprise that eclecticism is the name of the game on Manifest Density. However, those anticipating a hodge-podge of disparate ideas that ultimately do not coalesce would be making the wrong assumption: the album as a whole impresses for its cohesion, even allowing for the different compositional styles of each band member. While Dennis Rea’s compositions (such as “Kuru” or “Staggerin’”) tend to favour a jazzier, more experimental style, two of the three tracks penned by co-founder Ruth Davidson (“$9 Pay-Per-View Lifetime TV Movie” and “Revenge Grandmother”) possess a wistful, low-key quality, shared by Alicia Allen’s deeply lyrical “Disillusioned Avatar”. On the other hand, album opener “Save the Yuppie Breeding Grounds”, also written by Davidson, is an energetic yet haunting number with a strong Crimsonian vibe; while bassist Kevin Millard’s “Ephebus Amoebus” opens in a slow, atmospheric fashion, then develops into a frenzied workout, with guitar and violin sparring with each other. The quirky track titles inject a welcome dose of humour into the proceedings – a recurring feature in the work of other modern instrumental bands, but which Moraine (and especially Dennis Rea) seem to have got down to a fine art. Actually, the titles fit the musical content astonishingly well: “Uncle Tang’s Cabinet of Dr Caligari” is suitably dissonant, at times chaotic, with subtle Gothic undertones; while the upbeat “Nacho Sunset”, embellished by stunningly clear, lilting guitar work and gentle violin, has a relaxed, almost Latin feel. Though the album’s sound is mostly driven by the flawlessly intricate interplay between Rea’s distinctive guitar and Allen’s versatile violin lyrical and assertive in turns, none of the other instruments is confined to a mere supporting role, and each of them contributes in keeping the sonic texture tight. An excellent example of this is album closer (and personal favourite) “Middlebräu”: after a funky first half, propelled by magnificent bass and drums (very much in classic jazz-rock vein), a pause signals an abrupt change of pace, and the beginning of a simply magnificent, almost slo-mo coda featuring an intense, meditative guitar solo (the closest Rea comes to a traditional rock solo). 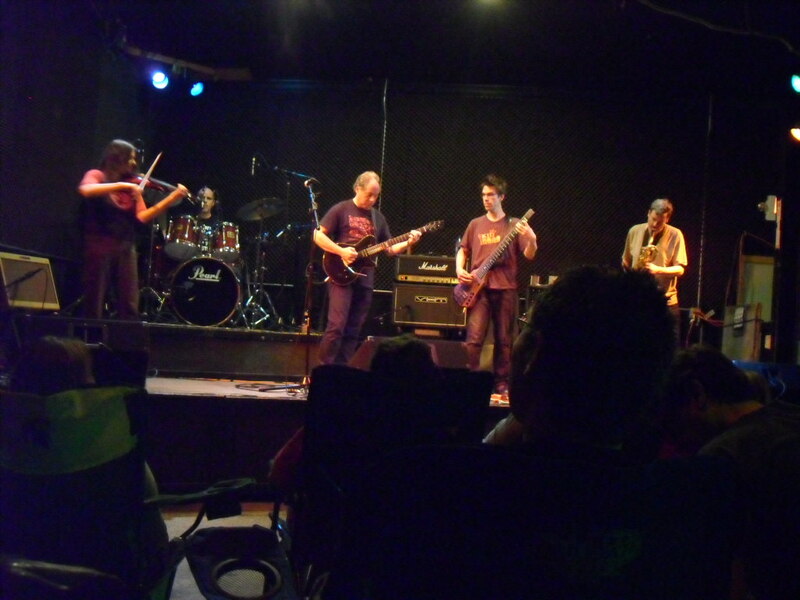 When Moraine performed at NEARfest, their lineup had changed, with obvious consequences for their sound. Ruth Davidson and Jay Jaskot had moved away from Seattle, and been replaced by drummer Stephen T Cavit (also an award-winning composer of film and TV scores), and woodwind player Jim DeJoie ( now Alicia Allen’s husband). The switch from cello to woodwinds lent the music a brighter, but also slightly more angular quality, reminiscent of those bands, such as Henry Cow, on the more experimental end of the Canterbury scene. This bodes well for the band’s second album, which is already in the works at the time of writing. In the spring of 2011 Moraine will also embark on a tour of the US East Coast, with dates at the New Jersey Proghouse and the legendary Orion Studios in Baltimore already confirmed. Catch them if you can – they are a very entertaining live act, and Manifest Density qualifies as one of the most promising debut albums of the past decade in the progressive music field.